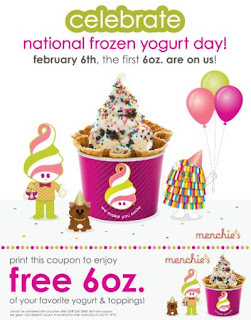 National Frozen Yogurt day is Feb 6th, 2013! Like them on Facebook to get your coupon for free yogurt. Click the link below to go to their Facebook and get started.